Welcome to Meet and Greet- a section of this blog where we have the opportunity to introduce the public to the hard-working employees of The Jones Center. With this series of interviews we hope to give you more information about the daily activities happening in and around The Jones Center and the occasional behind-the scenes glimpse. 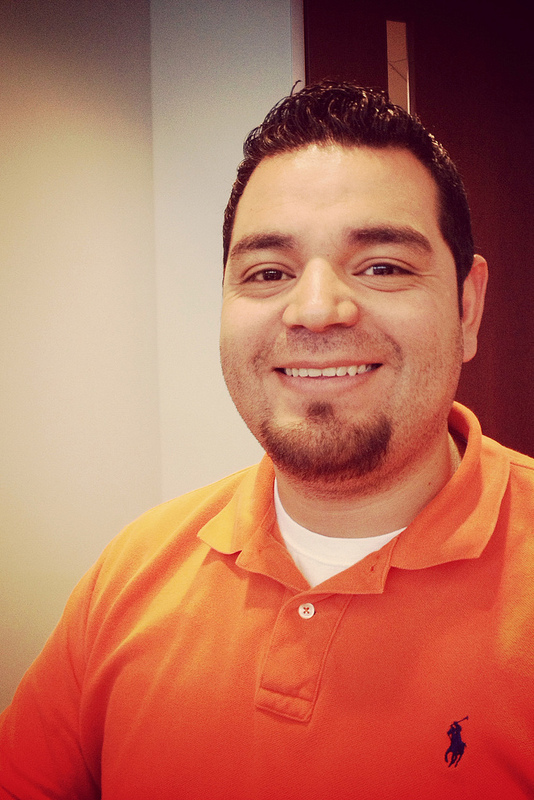 We start this series with the Guest Services Assistant Manager, Douglas Garcia. What’s your favorite part of The Jones Center? My favorite part of The Jones Center is having the privilege of getting to work with so many great minds. All of the employees of the center are unique and a pleasure to work with. What is the question you are asked most often? Working at the front desk the most common question I get asked is what are the prices of the room rentals. You give great costumer service. What are your secrets? Thank you! There are no secrets it is just years of experience. Treat and great each customer with a smile, good attitude and go the extra mile to help the customer when possible. The Jones Center is a place where people go to be active. What is your "power song" when you want to be active and get in the mood to have a great day? I do not have just one song that pumps me up, I like all types of music and it all really depends on my mood that certain day. Today that song was Boston's "More Than a Feeling".